Labelled the €1.3 trillion investment offensive, more than 2000 projects have been identified by the European Commission’s new Task Force on Investment (made up of representatives of the EC, EIB and member states) for fast-tracked financing from President Juncker’s recently announced €315 billion stimulus plan. But far from being a series of economically credible, environmentally sound and shovel-ready projects, the list reads more like a fantasy of some Member States eager to promote projects that would otherwise never see the light of day, for a variety of financial, legal and environmental constraints. Since December 2014 we are commenting on some of the projects and explain why, in our opinion, they will not help deliver the long-term strategic plan to stimulate growth and sustainability in Europe. We invite readers to suggest their own project in the comment section below. The list of projects can be found at the bottom of this page. Verdict: The Slatina valley, host of numerous natural habitats and home to a small local community, is to be sacrificed to provide a nuclear power plant with water. Already in 2013, the European Commission made clear that the project would counteract relevant biodiversity policy and the objectives of Slovakia’s very own Operational Programme for Cohesion Policy funding. The project’s cost estimations are based on extrapolations and its economic feasibility seems to rely on a 400 year long operation period. Very (!) long-term economics: Official estimates put construction costs of the Slatinka dam at EUR 80 million to 113 million. This number, however, is based on the extrapolation of costs from 1997 and is not based on studies. The return on investment of about EUR 100 million was calculated for about 400 years. Unsurprisingly, the costs for the destruction of habitats (which has not yet been calculated), the amenity value of more than 100 000 trees (approximately EUR 18 million) and the property of local people are not included in the total costs. Purpose contradicts legislation: Since 1956 when the dam was first proposed officials have come up with a variety of purposes for the project including adaptation to climate change, recreation, irrigation, flood control, or water retention for the industry. For decades none of these reasons was sufficient to justify the construction. Most importantly, however, the collected water is primarily to be used for the Mochovce nuclear power plant located 100 kilometres downstream. Yet national legislation and water directives only permit water abstraction/drowning from rivers which do not damage aquatic ecosystems. Biodiversity: The Slatina valley hosts preserved forests, wetlands and wet meadows with critically endangered species of plants and animals. Slovak scientists, citizens and NGOs have been trying for almost 20 years to enforce statutory protection of the river Slatina valley. In the past, experts have proposed the addition of the Slatina valley to the list of sites with European Importance (NATURA 2000). Unfortunately the Ministry of the Environment (sic) overturned this decision. The European Commission has warned the Slovak government for failing to protect important habitats in the past, including the Slatina valley, but Slovak authorities still refuse to protect Slatina and other habitats. What: Construction of the Czeczott hard-coal-fired power plant with up to 1000 MW capacity in the Slaskie Voivodship (Silesia), one of the EU’s most polluted areas. Verdict: Polish coal-mining giant – currently on the verge of insolvency – is trying to secure sales of its increasingly uncompetitive hard coal. By consuming 3 million tonnes of Kompania Weglowa’s coal per year, the Czeczott power plant would be a lifeline for the state-owned company. However, local inhabitants will not be among the beneficiaries. The investor has failed to perform a thorough Environmental Impact Assessment. As a result, the so-called environmental decision was recently abrogated. The environmental report i.a. did not properly assess the impact of the investment being planned in one of the EU’s most polluted regions – five of the ten most polluted cities in the EU are close to the Czeczott power plant site. 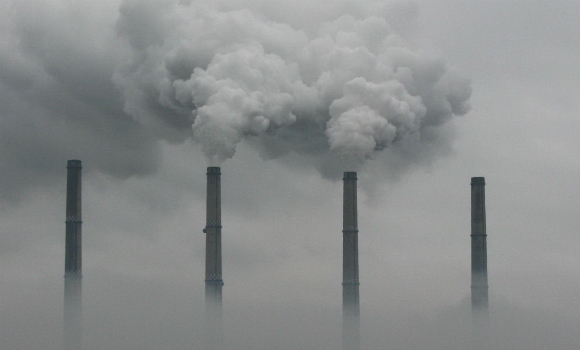 Health impacts: The external costs of Polish coal-fired power plants are estimated at EUR 3.0-8.2 billion per year. Poland along with Bulgaria has the lowest air quality in the EU. Only 3% of Poles can breathe air which complies with the standards of the WHO. According to the estimates by the European Commission, some 45 000 Poles die prematurely each year due to air pollution (Cost-benefit Analysis of Final Policy Scenarios for the EU Clean Air Package, EC, 2011). One of the main reasons which lie behind this dramatic situation is the dependence of the Polish energy sector on coal. According to a study by the EEA, in 2011 six out of ten most polluted cities in the EU were Polish cities. Five of them lie within 30-70 km radius from the Czeczott power plant. Moreover, the planned investment lies almost on the boarder of two most polluted and at the same time most densely populated Polish regions: Slaskie (Silesia) and Malopolskie. Delays: The project was planned to be finished by 2019. Currently, Kompania Weglowa hopes to finish construction by 2021. What: Rehabilitation and modernisation of thermal power plants in Turceni, Rovinari and Isalnita. Who: Energy Complex Oltenia (CE Oltenia), the biggest Romanian coal company, majority state-owned. How much: EUR 777.35 million, of which EUR 770.15 million to be spent in 2015-2017 – more than the company’s annual turnover (EUR 650 million in 2012). Verdict: The installations in Turceni, Rovinari and Isalnita were made between 1967 and 1987 and are nearing the end of their designed lifespan. 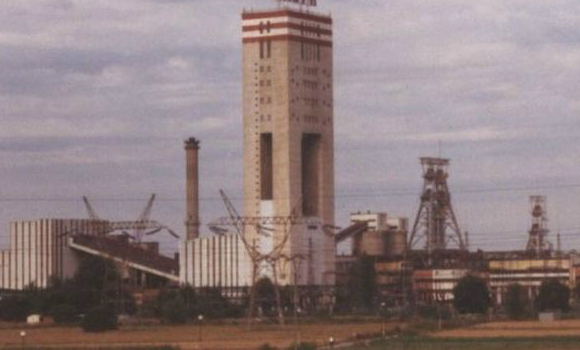 CE Oltenia is trying to stay alive while market conditions for coal are toughening. The first three quarters of 2014 saw a total loss of RON 290 million (EUR 65 million) for the company. With more than 18.000 workers, the company is dominating the economy of an entire Romanian region. Rather than prolonging the lifespan of largely inefficient and polluting thermal power plants, investing in the development of other industries and services would make the Romanian economy more resilient. What: Construction of Poland’s first nuclear power plant with a capacity of approximately 3000MWe. This is half of the total 6000 MWe capacity planned for the Baltic coast, north-west of Gdansk. Verdict: A small political elite in Poland is determined to enter the nuclear market, but these plans are highly unrealistic. Official cost estimates are lower than current costs for new nuclear programmes, environmental and safety risks are structurally underestimated in Poland’s nuclear strategy and one of the two proposed construction sites is protected under the Habitat and Bird Directives. Independent polls show that the majority of Poles opposes nuclear energy. Instead of supporting an outdated understanding of progress, investments should be made in realistic alternatives that are economically, socially and environmentally more beneficial. Underestimated costs: According to the list of projects proposed for EFSI funding, the Polish government estimates that constructing the first 3000 MW of nuclear capacity will be possible for EUR 12 billion. This is less than half the amount estimated for the UK’s controversial Hinkley Point C nuclear power plant (GBP 24.5 billion) with a similar capacity (3200 MW). While Hinkley Point C can only be realised with a 35 years price guarantee of twice the current market price for electricity and a set of other guarantees that all but cover the entire financial risk for the operator, the Polish government does not even have a financing plan for its project. Delays: The Polish government plans with constructions to start in 2019 and the first reactor to come on-line in 2024. Recent experiences with new build nuclear reactors in Finland, France, Slovakia and the US suggest that a five year construction time is over-optimistic at best. It is therefore highly likely that delays will bog down the project further – hardly a “kick-start” for Europe’s economy. Accidents and radioactive waste brushed aside: In the Strategic Environmental Assessment (SEA) of the Polish Nuclear Energy Programme, no consideration was given to severe accidents with emissions of radioactive substances. The Polish government has only general plans for how to deal with high-level radioactive waste. While commentators of the SEA procedure pointed out the potential costs and health hazards connected to these omissions, the Polish government refused to take them into account. Alternatives neglected: Poland’s energy strategy for 2030 and the Polish Nuclear Energy Programme introduce nuclear power as a given factor without comparing it with non-nuclear energy policies that focus for instance on the development of energy efficiency and renewable energy sources. Environmental organisations and many economists argue that nuclear power is an unnecessary economic and environmental risk for the country but the Polish government refuses to consider alternatives. The Polish Nuclear Energy Programme is currently being challenged in court for downplaying serious risks and neglecting alternative energy scenarios. Image taken from the project sponsor’s website. 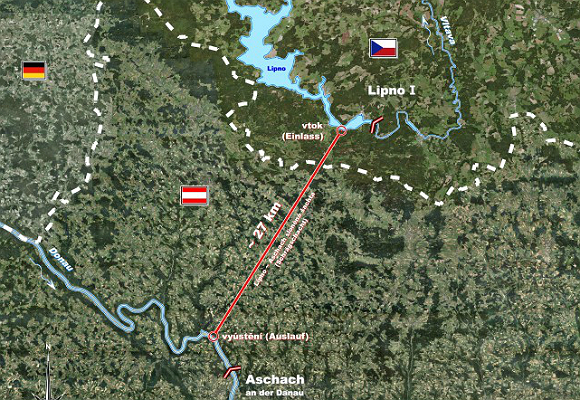 What: The pumped-storage hydroelectric power plant Lipno-Aschach that would connect the rivers Vltava and Danube via a 27 km long and 10.5 m wide tunnel between Lipno in the Czech Republic and Aschach in Austria. Verdict: In order to fully appreciate the offensive beauty of this project you need to understand the modern Czech dictionary. The word tunneling is now most frequently used as an expression for channeling (ideally public) funds into private (ideally anonymous) accounts. With a capital of merely CZK 840 000 (EUR 30 500) the project sponsor is puzzling at best and it is not surprising that “insufficient political support” and lack of financing are listed as the project’s barriers. Both is now sought via Juncker’s investment offensive, but it will not change that the 2 billion euros for this 27 km cross-border tunnel are buried money. For the same amount 270 000 or 16% of all homes in the Czech Republic could be equipped with photovoltaic generators (including phase shifters and consumption regulators) – providing about half of their annual electricity consumption. Original image by M.M.Minderhoud (CC BY-SA 3.0). What: A road project to complete the Antwerp Ring Road running through an area in the city of Antwerp where 150 000 people live less than 500 meters away. Verdict: Every aspect of the completion of the Antwerp Ring Road is controversial. While the project costs continue to grow, serious health and environmental impacts and the lack of financial viability have been exposed. Perhaps most importantly the current project won’t be able to cope with the mobility challenges of the future. 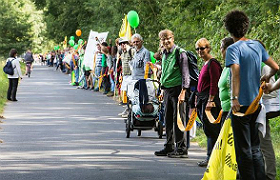 The project is not only damaging, it is also unwanted, being fiercely rejected by a majority of Antwerp’s citizens in one of the biggest mobilisations against an infrastructure project in Belgian history. 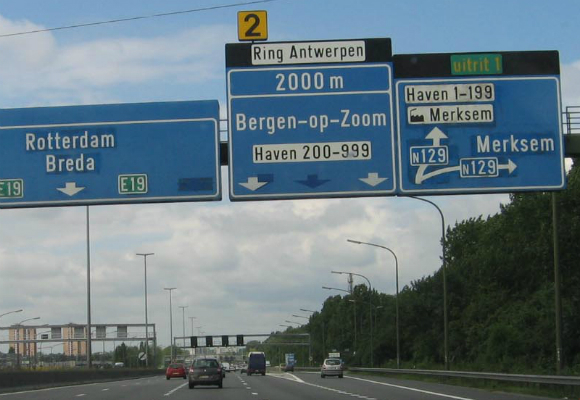 Should the Antwerp Ring Road receive EFSI financing, Europeans would have every reason to wonder for which team the EU institutions play that are behind the investment offensive. Costs and financing woes: Originally planned as a public-private partnership, the price tag of the project has increased from the initial EUR 600 million to EUR 3.5 billion today. Experts have advised not to finance the project through the currently proposed public-private partnership structure, but instead to consider a cheaper regular loan for the more sustainable route supported by the citizen committees. Health and pollution: With 137 000 cars every day (of which 25 000 are lorries) the Antwerp Ring Road absorbs more traffic than any road in Belgium. Air quality in Antwerp is already four times the European average and among the worst in Europe. According to the project’s Environmental Impact Assessment, 400 000 people will be exposed to fine dust amounts surpassing European limits, while 17 000 will be exposed to unhealthy amounts of Nitrogen Oxides. An unwanted project: For over 15 years the project has been contested by citizen committees such as stRaten Generaal, Ademloos and Ringland. In a referendum in 2009, 60% of the voters rejected the project. The committees proposed alternative routes and a covering of the ring road. Yet the voices of citizens have been largely ignored so far. In the summer of 2014 citizen and expert group stRaten Generaal, published a book of 190 pages collecting all objections made against the project. The book argues that partiality and knowledge gaps led to premature policy decisions and that as a result the project won’t survive all the necessary procedures including juridical ones. What: A huge 400 000 tonnes-per-year waste-to-energy plant that would burn municipal waste and sewage sludge in Resnik on the outskirts of Croatia’s capital. Verdict: Resurrected after being cancelled six years ago, the Zagreb waste incinerator is planned with a capacity far bigger than Zagreb’s declining waste production warrants – and this even though currently almost no measures for recycling and waste reduction are being taken. Measures to fulfil EU waste recycling targets in Croatia will further reduce the demand for incineration. Locals have fiercely protested both the incinerator and potential landfill sites for the ash produced by it. If the intention behind Juncker’s investment package was to burn money, then the Zagreb waste incinerator would fit the bill perfectly. Straight from the rubbish heap: Plans for the incinerator had been cancelled already in 2008 following fierce local resistance and after both the European Investment Bank and the European Bank for Reconstruction and Development did not proceed with financing the project. Six years later, the project was resurrected as the centrepiece of a waste management plan for Zagreb that foresees hardly any money for recycling and waste reduction measures. With estimated costs of EUR 300 million for an incinerator the likelihood of prevention and recycling getting a piece of the cake are very low. Overcapacity: Zagreb’s annual residual waste has dropped to around 270 000 tonnes annually for 2009-2013, in spite of a very low percentage of recycling and no serious efforts to reduce the waste production. Even with waste sludge from the Zagreb wastewater treatment plant, importing other people’s waste seems like the only way to justify the plant’s size. EU regulations: As per EU targets, Croatia must recycle 50 percent of its waste by 2020. With almost a quarter of the country’s population living in Zagreb, massive efforts are needed to increase the city’s recycling rate. Ash disposal: The incinerator would create around 100 000 tonnes of ash annually, but there have so far been no realistic proposals of where this could be landfilled, as all suggested locations have been met unsurprisingly with fierce local resistance. It is also unclear where the hazardous fractions of the waste eg. the filter residues, would be disposed of and how much this would cost, as Croatia has no such facilities and would have to export them. What: A new open-pit lignite mine and a new 2.7 to 3 GW power plant in the Łużyce region in Western Poland. The mine would cover an area of 35-45 square kilometers and provide 17 millions tonnes of lignite annually and 870 million tonnes overall. Verdict: Given the economic outlook for coal mining in Europe, the project may not be the promised boon of growth. The project lacks the necessary permits, requires relocating thousands of people and can result in significant environmental and climate impacts. Financing the project relegates some of the EU’s most important environmental and social standards to “significant regulatory and non-regulatory barriers” to be overcome with this investment offensive. Licencing: The project has no licence for extraction yet. An environmental impact assessment for both mine and power plant is being prepared at the moment. Consequently no environmental permit has been granted yet. Economics: Polish state owned mines have been systematically losing money and burdening the Polish economy. While lignite mines are doing better than hard coal mines, a range of factors including the high costs of mining, the EU’s emission reduction targets and European environmental legislation are likely to further reduce their economic viability in the coming years. Social and environmental impacts: To construct the mine, around 15 small villages would have to be destroyed and 2-3 thousand people resettled. Apart from the obvious climate and health impacts of burning 870 million tons of lignite, the project is feared to cause significant environmental degradation of the region. 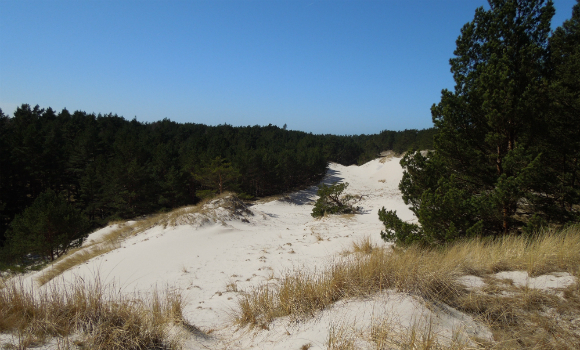 According to a Greenpeace briefing [pl] there are two natural reserves, areas protected as parts of the European Natura 2000 network and a landscape park within the affected communes. Local opposition: The vibrant local opposition is organised in the association NIE Kopalni Odkrywkowej (NO to the Open-pit Mine). 90% of the voting citizens voted agains the mine in local referendums in the two affected municipalities (Gubin and Brody) in 2009. In the recent local elections, both municipalities elected mayors who are outspoken opponents of the mine.